Cleopatra Slot is the original slot machine game in the mini-series of real money Cleopatra games. 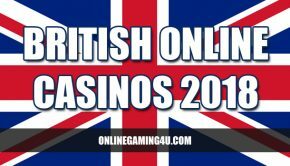 The first of its kind, the game is one of the most popular slots available both online and mobile. The game consists of 5 reels with 20 pay-lines and you can select the amount of pay-lines you bet on with this slot game, from 1 to 20 in five line sections. The graphics feature reel symbols covered in gold and jewels, along with a background that’s decorated with the signs of Ancient Egypt. 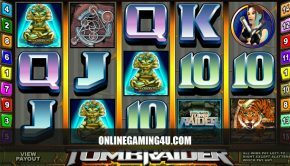 The 20 reel pay-line online slots takes casino players back to the court of Cleopatra and also features a free spins bonus and a generous cash multiplier. 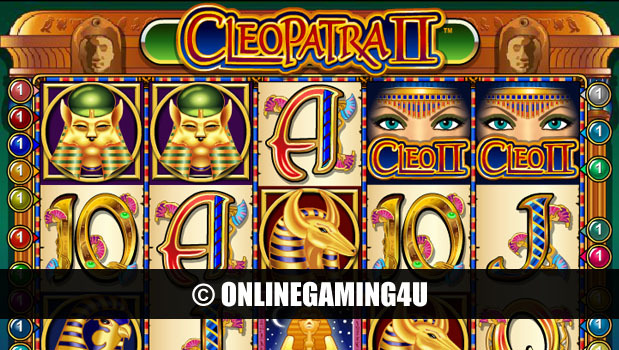 Cleopatra 2 can be played for free, giving online casino players the chance to experience this popular slot machine before playing for real cash money. With Cleopatra 2, it is all about the symbols and hieroglyphics matching the style of ancient Egypt and with this classic you’ve got plenty of those with the Cleopatra II slot game. Cleopatra II has its fair share of special symbols, such as the Cleopatra II symbol itself, which is a Wild symbol that will also double any winning combination you achieve. The Sphinx symbol forms this slot machine’s scatter, and will take you into the brilliant Cleopatra II bonus round. The bonus round on the Cleopatra II slot is an excellent Free Spin game that when you stop in three of the game’s Sphinx scatter symbols, you’ll be given three boxes to chose from, each containing a different number of Free Spins. Cleopatra II also caters for experienced slots players seeking big bonuses as well as more frequent smaller win-seeking gamers. However, all players will require patience to win big in this slot as the odds of winning a big bonus are much higher than in the original slot machine game.